How does Alternative Solo Strings differ from Spitfire Solo Strings? This is an alternative take on our Spitfire Solo Strings library. These are edgy, raw musical tools that behave with a certain amount of realistic unpredictability, designed to provide you not only with that initial spark of inspiration, but also to broaden your understanding of this particular group of instruments. The way in which stringed instruments can be played varies greatly, which is why Spitfire Audio has a broad selection - not only of strings ensembles but also solo libraries. Our original Spitfire Solo Strings very much plays to a traditional, virtuosic sound, recorded in the pleasurable ambience of the Hall at Air Studios, for example. Alternative Solo Strings is a direct counterpoint to this, recorded dry with the players performing in a more raw and honest style, which yields a rare and aching beauty from the gritty playing styles and the unpredictable inspiration provided from our artisan longs. Our inspiration for the library was the work of Warren Ellis and Nick Cave, but what we have come up with is a surprisingly versatile library that will guarantee you stand out from the crowd. 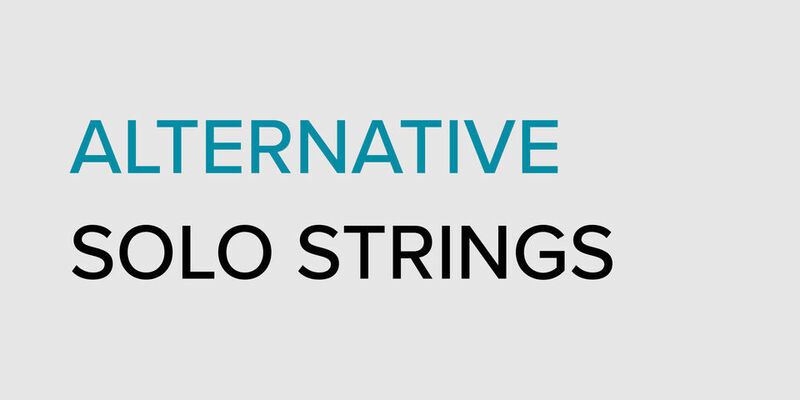 Alternative Solo Strings does not sound as reverberant as some of your other Libraries. This was recorded on our dry stage in King’s Cross, London. However, a bit of liberally added reverb will help you blend this with our other libraries. Is Alternative Solo Strings available with an Educational Discount? The promotional discount for Alternative Solo Strings is the same as our educational discount, so until the promotional period is over, the educational discount will not apply. Is this the Artisan Violin and Artisan Cello in a new package? Yes! We have combined the Artisan Violin and Artisan Cello, added a Viola and a Double Bass then packaged them all up in an NKS ready Player library called Alternative Solo Strings. I already have the Artisan Violin and Artisan Cello, where do I go from here? If you have either of these libraries already, you’ll get a great price on Alternative Solo Strings. 50% off if you own both, and 25% off if you own one.